This Competition is now Closed. Congratulations to the Winner Andy – @donglemouse. Wow, another fantastic giveaway for you this week! I’m thrilled to be working with Curry’s who have given me this gorgeous Tassimo drinks machine worth £129.99 to offer to my lovely readers and followers. I love the look of this machine and if you are a hot drinks (this one does more than just coffee) machine fan you will just love it even more. Won’t it look stunning your kitchen? Compact in stature, the Bosch Tassimo combines practicality with design for an appliance worthy of your modern kitchen. With a blend of black and chrome finishing, at just 29 cm tall and with a 1 metre power cable your Bosch Tassimo 43 JOY can take pride of place on your work surface, ready for your bleary-eyed, early morning caffeine quest. The Bosch Tassimo is simple to use -just insert a pod into the machine, select your desired function and press the button to have perfect espresso and other hot drinks in moments. With a choice of more than 35 drink varieties combined with fast and simple operation, the Bosch Tassimo is the one-stop appliance whether you are a fan of nutty espresso, creamy lattes or indulgent hot chocolate. Boasting an innovative flow heater system, you will be guaranteed a hot drink within moments without the hassle of waiting for the water to heat up, or the coffee to percolate. The Bosch Tassimo uses an intelligent barcode system to read the pods and deliver perfect hot drinks every time. With clear, easy to interpret LEDs you will be able to tell when your drink is ready and when you need to top up the 1.4 litre water reservoir. There are a wide variety of pods available, allowing you to bring your coffee shop favourites into your own home – frothy cappuccinos, Twinings tea and Chai lattes and more will all be possible with the Bosch Tassimo 43 JOY. You can also choose from a range of Costa coffees. It means: beautiful, gorgeous, lovely, splendid! Any of those, but mostly beautiful. translates as beautiful. it is beautiful in Italian! Beautiful or handsome I think! Thanks for a lovely comp! Very beautiful. Very beautiful indeed! Beautiful – just like this fabulous machine! Forgot to say, also tweeted. I’m @LisaBurn1964. I understand it to be the Italian word for Beautiful. @147ken have followed and tweeted. 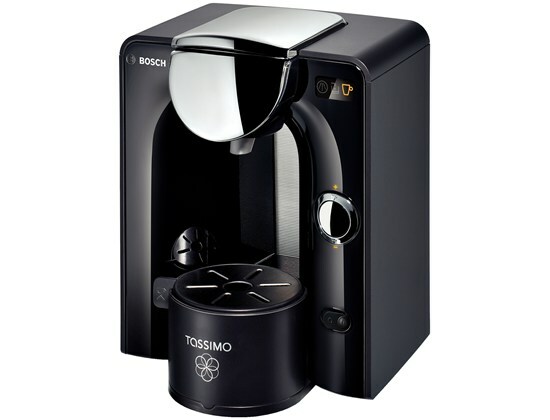 Its means beautiful…like this Tassimo! I’ve followed and tweeted, @WrightyH. Thanks for the competition! Beautiful…….or to be exact ….Bellissimo is the so-called ‘absolute superlative’ of bello. English doesn’t have an absolute superlative, but it’s very easy to understand. It is almost correspondent to the ‘very+adjective’ form. So you can translate it as ‘very handsome’. Bellissimo -with o- is used when referring to a guy/man and it is the singular. Bellissimi is the plural. Bellissima – with a- is used when referring to a girl/woman (singual as well). Bellissime is the plural. “Bellissimo” means beautiful, very handsome, lovely. It means very beautiful or very handsome. Bellisimo means beautiful but can also mean very handsome or lovely. It means my Wife. Beautiful. beautiful, just like the machines drinks. It’s Italian for beautiful. Tweeted LAFhusky. Bellissimo is the Italian (masculine)word for ‘very beautiful’ this could be considered the same as handsome but that is not its true translation. Bellissimo means beautiful when attached to an object. On it’s own it means very handsome. Beautiful. Just like the Tassimo! it means very beautiful ,have followed and tweeted also. Tassimo means beautiful I think! Beautiful,just like this machine and coffee that i had to try at my mother in laws!! I think it means “very beautiful”! Very Beauitful to a male. The simple answer is Beautiful, but its a bit more nuanced . Beautiful is the meaning to the word. It means Very beautiful, and it is. The meaning is Very beautiful! It mean’s ‘very beautiful’ and is generally directed to a man as this ends in O rather than an A.
it means beautiful, or lovely. It means very beautiful or handsome . Tweeted. Bellissimo means beautiful, handsome for men.. It means Very beautiful .